The proceeds of the 2019 Silent Auction will be donated to Miracle Hill Ministries in the upstate. 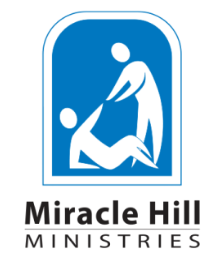 Miracle Hill is a leader in providing transformative care for the physical, emotional and spiritual needs of the people they serve. Founded in 1937, they are a non-profit organization in the Upstate of South Carolina dedicated to providing extensive services to individuals and families in the form of food, shelter, clothing, counseling, personal development, addiction recovery support, and residential and foster care for children. With the help of generous donors and volunteers, they have become the largest and most comprehensive provider of shelter and food to homeless children and adults in Upstate South Carolina – with nine facility locations and transitional housing throughout Greenville, Spartanburg, Cherokee, and Pickens counties. Miracle Hill plays a leadership and facilitative role in the community by partnering with other local service organizations to provide for the diverse needs of the homeless population.